New Delhi, the national capital region of India, is the home to a blend of millions of people from varied background. The city carries a charm of its own and has been the glory of the country from ages. Different people have different perceptions for this city, but once they start living in it, they actually start living it! 1. It was in 1911 that, capital of India was declared to be changed from Calcutta to Delhi. On 13thFeb 1931, it was officially done. 2. Every Delhite is always ready to help you with navigations; even if they don’t have a single clue what place are you talking about. So cross check always!! You have Google Baba. 3. Qutub Minar of Delhi is the world’s tallest brick minaret. 4. Wholesale market at Azadpur is Asia’s largest fruits and vegetable market, with a supply of almost 3000 trucks full of fruits and vegetables daily. 5. Delhi has an International Toilet Museum. Now, that, indeed, is quite interesting!! 6. There was a time when Delhi was walled by 14 gates, which today has reduced to just 5, namely; Kashmiri Gate, Ajmeri Gate, Delhi Gate, Lahori Gate and Turkman Gate. 7. Khari Baoli, a street in Delhi, is the largest wholesale market for spices in entire Asia. Looks like Delhi has a pretty strong hold on wholesale markets!!! 8. The traffic congestion in Delhi-NCR region results a loss of around 420 million man-hours every month; quite a bunch of hard working people!!! 9. Despite of all the traffic and pollution, it is interesting to know that Delhi is ranked amongst top ‘green cities’ in the world, with an ecological cover of 20%. 10. This may be due to the fact that, the entire public transport system in the city runs on eco-friendly CNG. That makes it the world’s largest fleet on CNG. 11. The Delhi metro platforms are made user friendly for blind people. There are yellow tiled tracks, lined in the mid of platform, that leads them in front of coach doors, straight to the lift and to the exit. 12. ……….And it marks the punctuality by 99.7%….. That’s outstanding!!! considering the state of Indian Railways. 13. Delhi is the second most bird-rich capital in the world after Nairobi. That adds to being an eco-friendly city. 14. The 2010 Common Wealth Games held in Delhi had been reported to be the largest and most expensive of all CWGs till date. 15. It is ranked 7th in world’s most expensive office hotspots. 16. 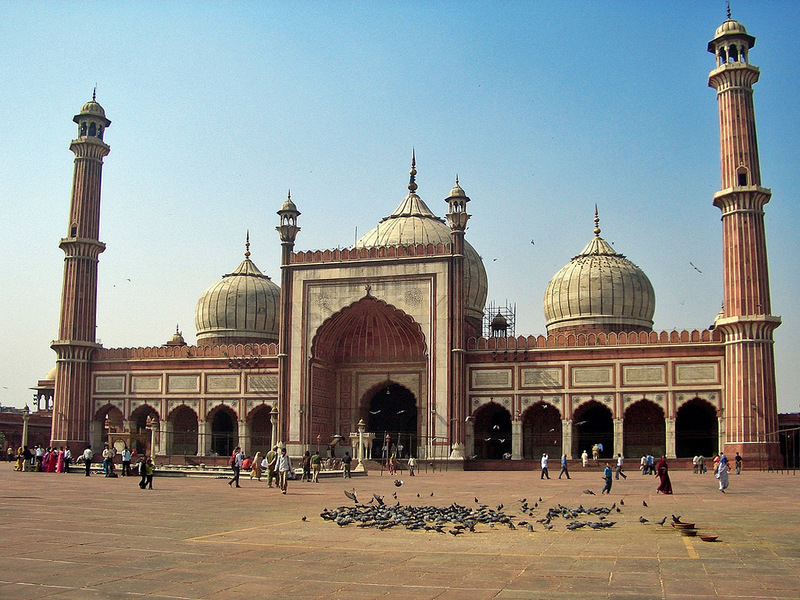 Jama Masjid, built in delhi in 1656, is the largest mosque in India. 17. Out of the total eight Bahai temples around the world, The Lotus Temple in Delhi of Bahai community is the only architecture of Bahai faith in entire Asia. So, the next time you plan to visit Delhi, make sure you have these facts clear. And well, you can always encounter more…. The more you stay here!!! Explore the life history of a dominant writer who became a muse to many aspiring writers. Bobby Gujral the famous writer of many categories of books.